The Sawai Mansingh Stadium, Jaipur hosted the fourth game of the season that saw Rajasthan Royals hosting Kings XI Punjab. The game swung like a pendulum as both teams were in with a chance every now and then. But the visitors won their first game at the venue in IPL history and got the campaign to a winning start. Kings XI found themselves batting after Ajinkya Rahane elected to bowl after winning the toss. They lost KL Rahul for just 4 off the 4th ball of the game. Chris Gayle was joined by Mayank Agarwal and the duo took their time to get in. After 6 overs, KXIP reached 32/1. Agarwal’s stay ended for 22 from 24 balls as Krishnappa Gowtham sent him back in the 9th over. Sarfaraz Khan was the new man and he also took some time to get his eye in. Gayle was opting for a subdued approach thus far but he unleashed himself after the run-rate wasn’t flourishing. He went after Jaydev Unadkat and Ben Stokes. The opener was shaping up for the three-figure mark but had to walk back for 79 from 47 balls as Stokes accounted for his wicket. Sarfaraz then took the matters into his own hand and provided a good finish. Due to his 46 from 29 balls, KXIP finished with a competitive total of 184/4. RR was cruising in the powerplay as Ajinkya Rahane and Jos Buttler took charge. They added 78 runs from the first 8 overs and provided the perfect start for a big chase. Rahane fell for 27 but Buttler kept going. He brought up his fifty and was looking set to win the game for the side. 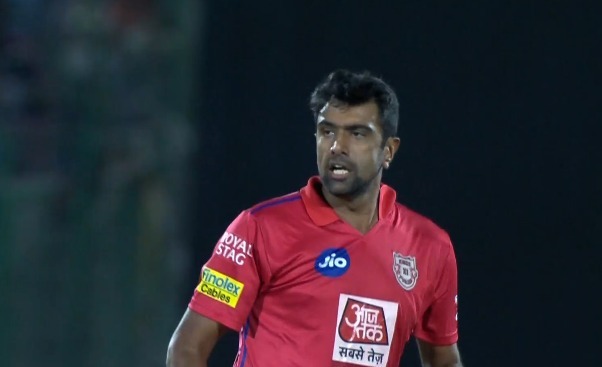 But Ashwin ran him out at the non-striker’s end by mankading him for 69 from 43 balls. The controversial dismissal triggered a collapse in the RR camp. They lost wickets in heaps and no batsman carried on till the end. After the completion of 20 overs, the hosts found themselves 14 runs short of KXIP.